I put together a list of fun and interesting science experiments which kids of all ages can do at home. These are cool experiments which are easy to do and don't require a lot of time. These experiments are mostly physics based. Can you remove salt from water by freezing it? Icebergs in the ocean consist of mostly pure water, with no salt, even though the oceans themselves are salty. The formation of ice has a tendency to exclude salt molecules, and this experiment is designed to test this phenomenon. Get pure water such as that found in stores and add salt to it. Add about 3.5% salt by weight, where the ratio of the weight of salt to the weight of water is 0.035. This is the approximate salinity of the oceans. Use a digital scale for accurate weight readings. Place the salt-water mixture in a plastic cup or bowl and place it in a freezer. After a day or so take it out and remove the ice from the cup, or bowl. It should be entirely frozen at this point. Is there any salt left behind? Do this experiment again, but this time only partially freeze the salt-water. How salty is the ice and how salty is the unfrozen water? Is the ice more or less salty than the unfrozen water? Drop a ball from a certain height onto a hard floor and measure how high it bounces up after the bounce. Compare this height to the initial height you dropped the ball from. The more bounce a ball has, the closer the bounce height will be to the initial height, and the more elastic the collision is between ball and floor. The less bounce a ball has, the greater the difference between the bounce height and the initial height, and the more inelastic the collision is between ball and floor. Compare how well different balls bounce. Use a tennis ball, a baseball, a basketball, a soccer ball, a squash ball, a golf ball, and a SuperBall. Where possible, investigate how inflation pressure affects the bounce height. Also investigate how ball temperature affects the bounce height. Put the balls in a refrigerator, and freezer, for an hour to cool them, and also warm them up with a hot water bottle for an hour. Measure the refrigerator and freezer temperature, and hot water bottle temperature, and record these values. Repeat the experiments several times to get a good set of average measurements. Rate the balls in terms of how well they bounce and under what conditions they bounce the best. Get a ruler and put half of it on a table, with the other half extending past the edge of the table. Hold down the part of the ruler that is on the table. Flick the free end of the ruler so that it vibrates. Now, increase the amount of ruler that is on the table, and flick the free end of the ruler again. What happens to the vibration frequency? 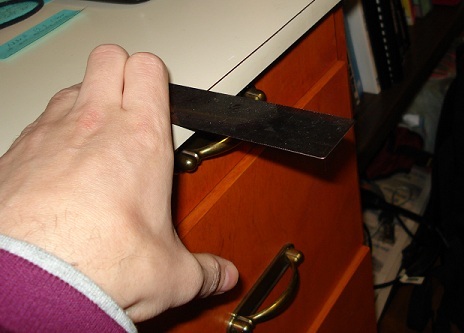 Now, decrease the amount of ruler that is on the table, and flick the free end of the ruler. What happens to the vibration frequency? Try to explain the difference in vibration frequency depending on how much of the ruler is on the table. The vibration frequency is known as the natural frequency of the ruler and changing the length of ruler that is on the table affects this natural frequency. You can try this experiment with rulers of different thickness, and made of different materials, such as wood, metal, and plastic. 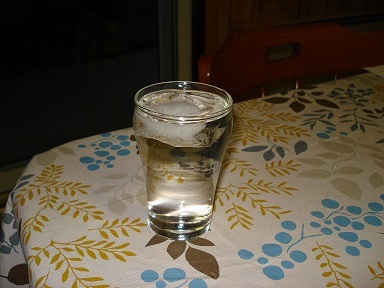 Put ice cubes from the freezer in a glass of water. Listen to the cracking sounds that they make. Why do they make this sound? As the ice cubes come into contact with the much warmer water they quickly heat up on the outside. This causes thermal expansion which causes outer cracking, since the outside of the ice cube heats up faster than the inside. This difference in expansion due to differential heating results in the surface of the ice breaking, which we hear as cracking sounds. Get an empty plastic juice or water bottle and tightly seal it with a cap. Put this bottle inside a freezer. After an hour has passed take the bottle out. What do you notice? The bottle will have collapsed due to the lower pressure inside the bottle. When the air sealed inside the bottle decreases in temperature its pressure drops also, according to the Ideal Gas Law. As a result, the greater outside pressure crushes the bottle. This crushing action reduces the volume inside the bottle, which then increases the pressure inside the bottle (again, by the Ideal Gas Law). Hence, crushing occurs until the pressure inside the bottle equals the pressure outside the bottle. After you take the bottle out of the freezer it will expand to its normal size, since the air inside the bottle is heating up which increases its pressure. The process explained previously is now going in reverse. Note that the air inside the freezer is deliberately kept at the same pressure as the outside air. If the air pressure inside the freezer were to drop when the air temperature inside decreased, you wouldn't be able to open the freezer door, since the greater outside air pressure would prevent this! 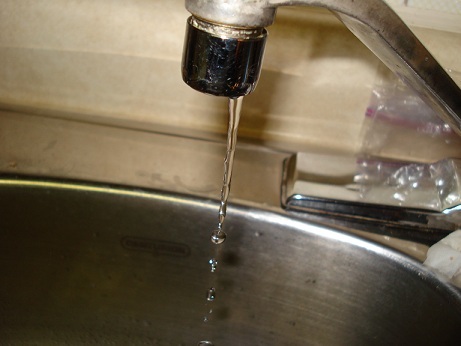 Turn on the water faucet at low level so that the water flows in a thin stream. At some point the stream of falling water transitions from smooth laminar flow to non-smooth turbulent flow. This transition point is the onset of turbulence. This phenomenon is commonly predicted by the Reynolds number. The Reynolds number is a very important parameter for predicting fluid behaviour. It is a function of velocity, in addition to other physical quantities. As the velocity of the falling water increases, the Reynolds number increases until a critical value is reached, at which point the Reynolds number predicts that the stream of water becomes turbulent (non-smooth). Get a magnifying glass and a digital temperature probe, like the kind used in kitchens. On a sunny day focus the sun's light onto the end of the probe to get a temperature reading. The magnifying glass focuses the sun's electromagnetic radiation to a point and the intense radiation at this point creates a hot spot wherever it touches. Solar energy is very unique in this way because you can focus and concentrate it to a point. When doing this experiment be careful you don't burn yourself! 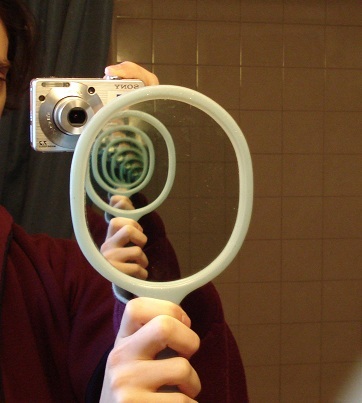 Hold up a small hand held mirror to a large mirror, like the kind used in washrooms, and orient the mirror until you see consecutively smaller reflections of the small mirror, as shown below. What you are seeing is a continuous reflection of a reflection, made possible by facing two mirrors towards each other as shown. In theory, the number of reflections continues to infinity. Get a paper towel and pour water over it so that it becomes all wet. 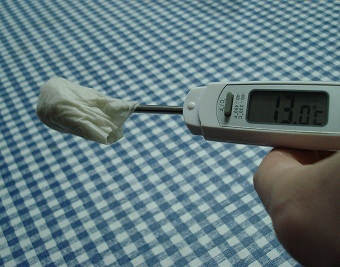 Then, wrap it around the end of a digital temperature thermometer, as shown. Allow the temperature reading to become steady. Next, use a fan to blow air over the wet paper. The temperature reading of the wet paper should begin to drop. This is due to evaporative cooling. As the water evaporates (from liquid into gas), it absorbs heat energy, and as a result this causes the temperature of the wet paper to drop. This is the same principle that your body uses to cool down on a hot summer day, by way of sweating. As your sweat evaporates it cools your body down. Blowing air over the wet paper, with a fan, causes the evaporative cooling process to happen more quickly than it would if air were not blown over the wet paper.